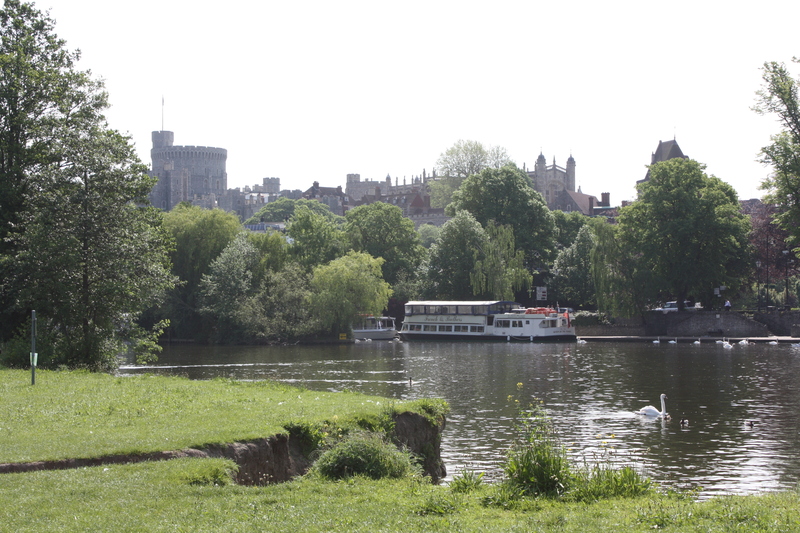 The path took me over Eton Bridge and across “The Brocas” which is a meadow with good views of the castle and the race-course on the opposite side. No sign of any horses at the race-course but there were smartly dressed people taking photos of each other so I’m guessing there was probably a wedding going on. The Olympic Rowing Lake at Dorney sits a short distance back from the river and today there were a lot of ridiculously athletic people taking part in a triathlon. If you ever want to feel inadequate, watch a triathlon. 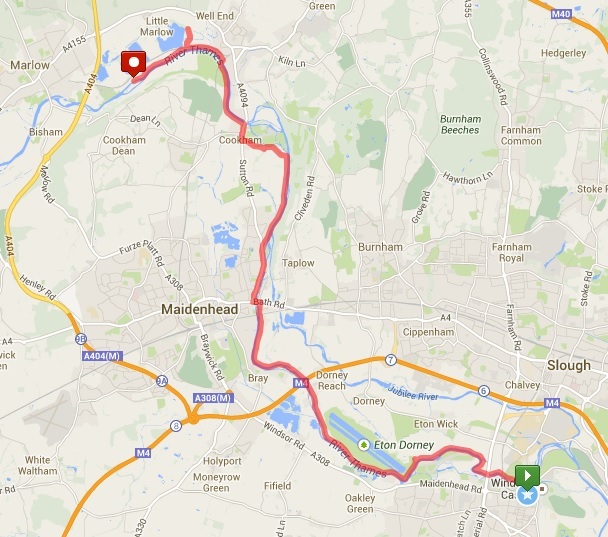 From this point the walk became something of a trip down memory lane, as I spent my formative years in Maidenhead. There were various points on the river where my friends and I went fishing and mostly caught bleak (very small fish). It is very noticeable how much cleaner the river is these days; you can now see the riverbed through several feet of water, which was impossible back in the day. When my friend Stevie fell in we had no idea whether we would see him again, but as it turned out the water was only about three feet deep.One fishing site was at the railway bridge, the “sounding arch”. Built by Isambard Kingdom Brunel it is remarkable for its wide, flat arches. 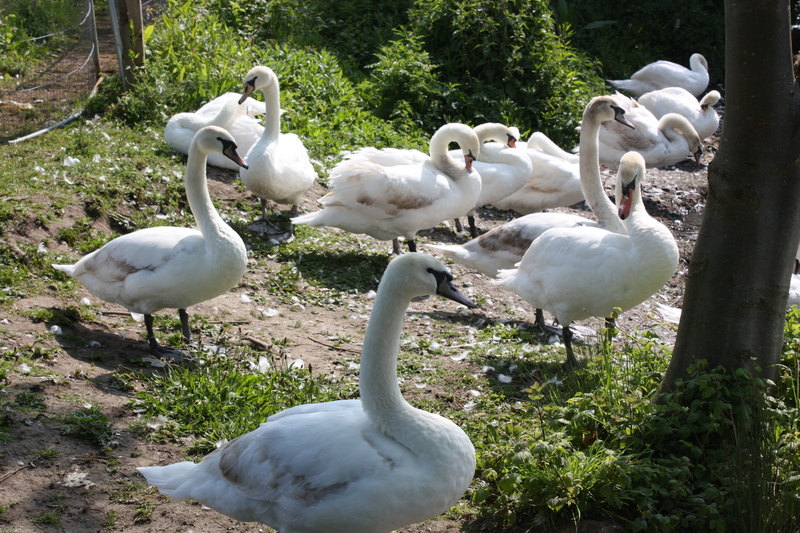 Heston Blumethal has several restaurants in Bray including the world-renowned Fat Duck. Me and my mates used to go there of an evening or sometimes of a school lunchtime for a pint of Brakspears. We thought that if we took our school ties off, no-one would ever guess that we were schoolboys. Even though we still wore our blazers and had to leave before the bell rang. In those days it was a pub called (appropriately) The Ringers. One of Heston’s other properties is The Riverside at Bray Marina. As I walked past on the opposite bank a bald be-spectacled man in chef’s whites emerged from the kitchen. Could it have been the man himself? I really have no idea. These days my eyesight is so bad it might have been Harry Hill. 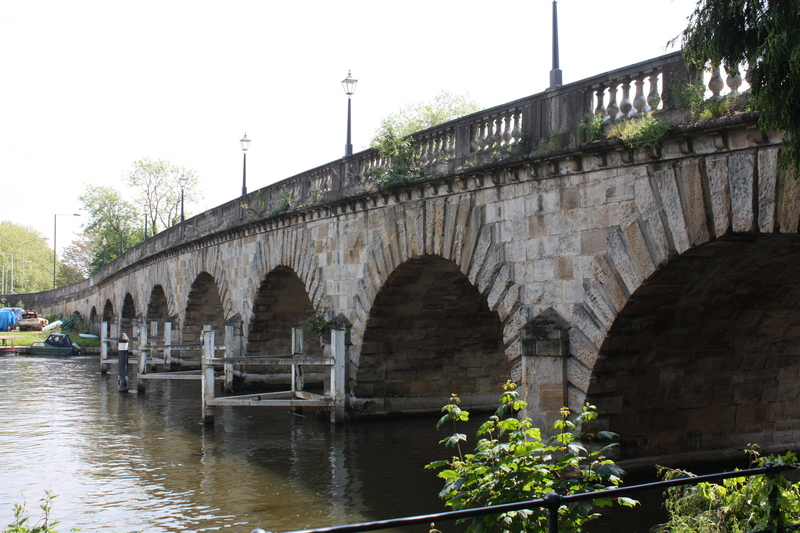 By Maidenhead Bridge is the site of the rowing club which was the venue for many teenage discos. I probably don’t need to remind you what kind of memories teenage discos have, but for the record it’s mostly a mixture of hope, fear, angst and disappointment. But occasionally excitement and fun. On the other side of the bridge is the site of Skindles Hotel. In the early 19th century this was a fashionable hotel. In the 20th century it became notorious for “adulterous assignations”. 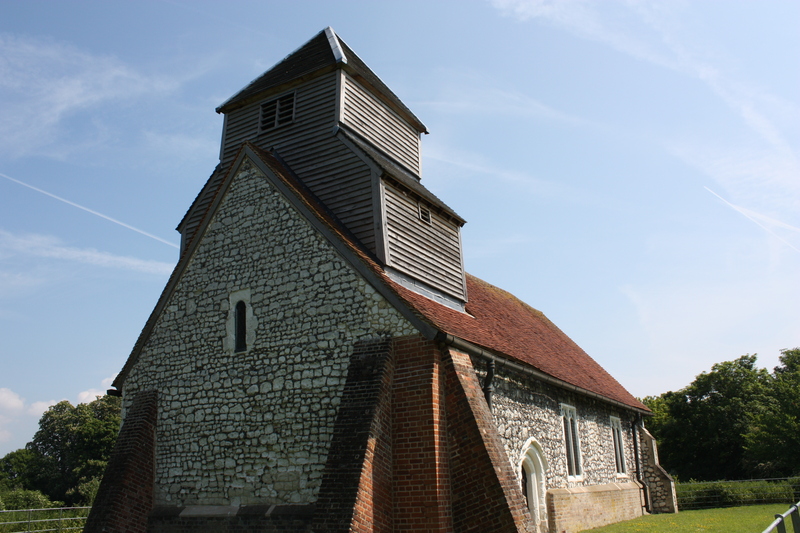 There was a saying “are you married or are you from Maidenhead?”. 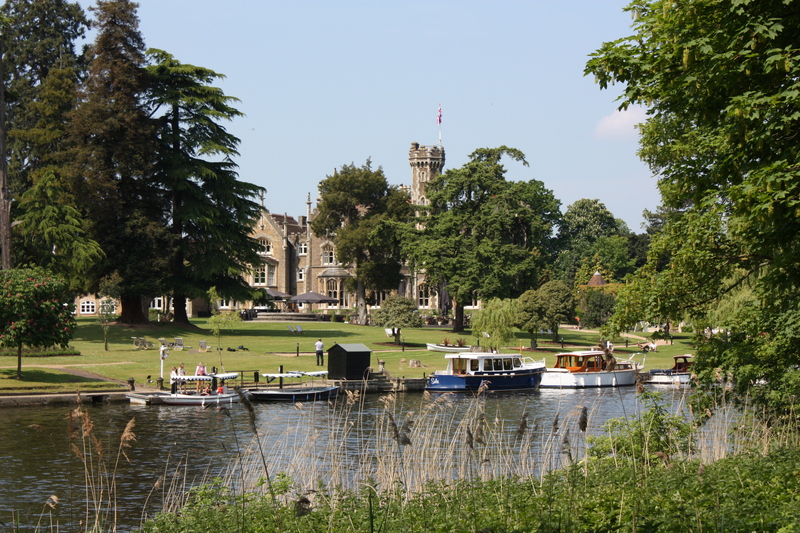 Winston Churchill and Princess Margaret stayed there, but not necessarily together. Then it became a music venue and hosted, amongst others, The Rolling Stones. The second gig I went to was Eddie and the Hot Rods at Skindles. (My first gig was Genesis at Wembley – quite a different experience). 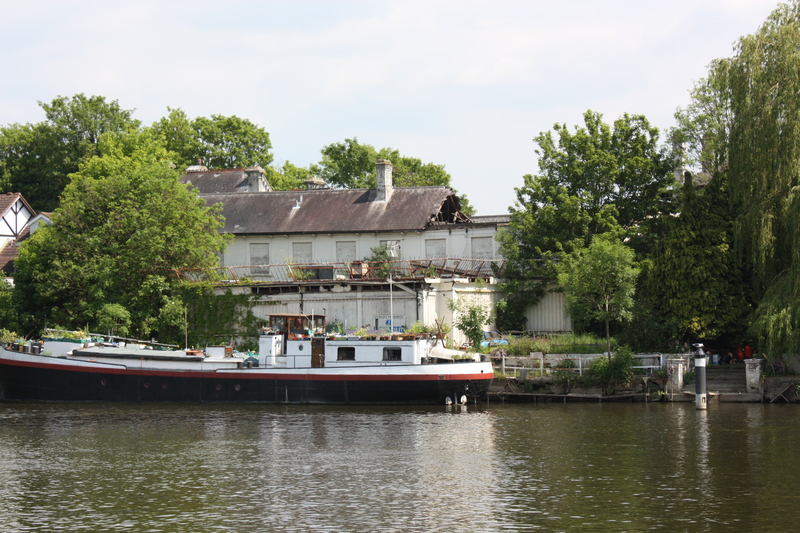 Skindles has been disused for many years and passed through a number of ownerships with plans unfulfilled. It is now slowly demolishing itself; roofs have collapsed and nature is taking over with trees growing through the old buildings. Such a shame for what should be a great site. 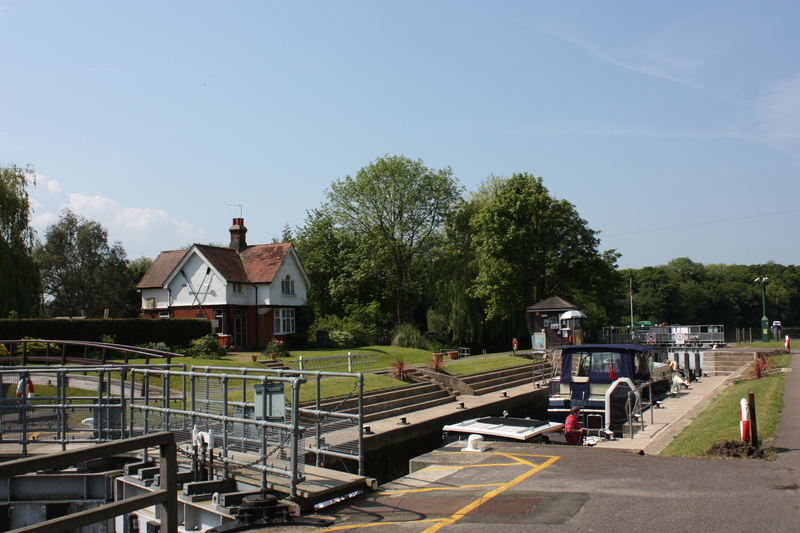 From Maidenhead the Thames heads north to another place famous for adultery – Cliveden. In the early sixties it was a private residence and was the scene of the “Profumo Scandal”. A politician caught in flagrante delicto with a lady of easy virtue. It hardly seems earth-shattering now, but this was 50 years ago, in the midst of the Cold War, and she was sharing her favours with a Russian spy. 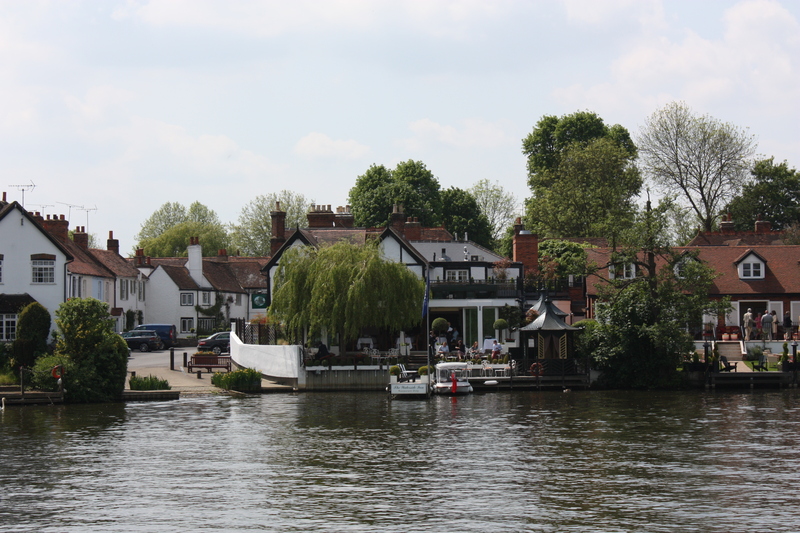 Across the Thames from the cottage where Christine Keeler stayed a couple threw sticks into the river for their dog to retrieve and I followed the path away from the river and into Cookham. As I passed Cookham Moor the mini-festival “Rock the Moor” was in full swing. 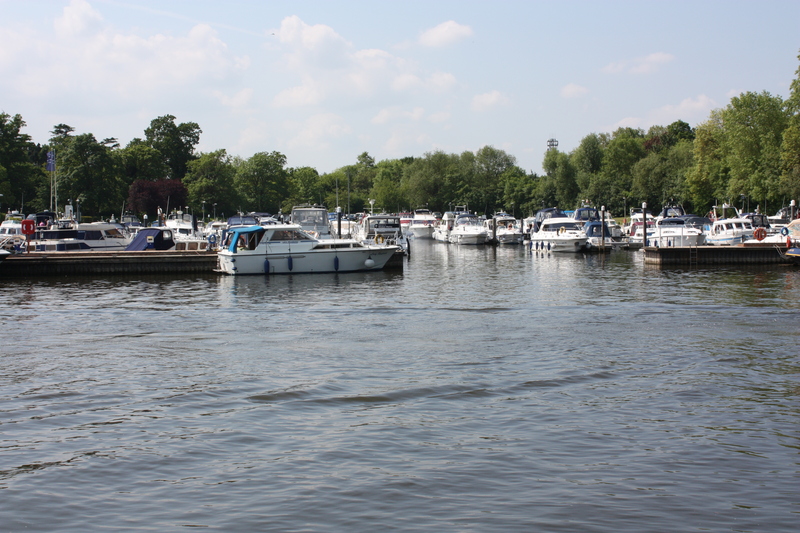 As well as all the people who had bought tickets there were lots of others who had moored their boats near the site, or who had walked with picnics to sit by the riverside and enjoy a free concert. I heard a band playing a song I vaguely recognised – something to do with “the great miracle of life” – but I couldn’t quite place it. As I got further away I heard the Proclaimers singing “I would walk 500 miles” which seemed quite appropriate but at that distance I couldn’t make out whether it was live or not. 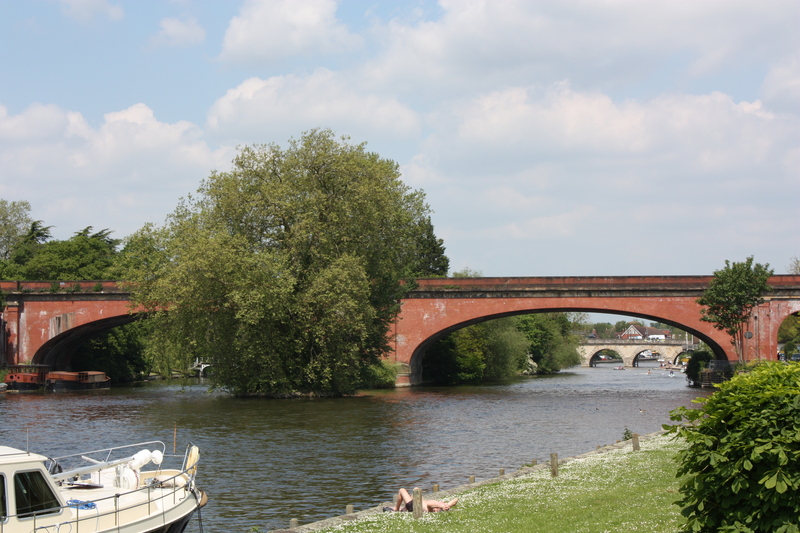 I crossed the river via the foot and rail bridge at Bourne End as lots of people carrying picnic gear crossed in the opposite direction. 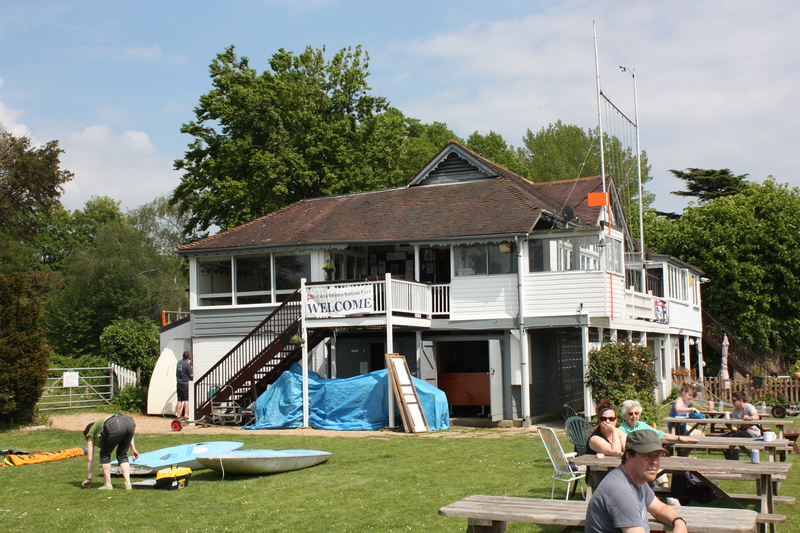 Soon I came to the Upper Thames Sailing Club, another place with many memories. My Dad was a keen dinghy sailor and UTSC member. He raced a Merlin Rocket, a boat with a crew of two, the second crew member often being me. My memories include coming ashore with hands so numb with cold I couldn’t take off my life jacket, and being left alone in the boat after Dad had somersaulted into the river having missed his toe-strap. 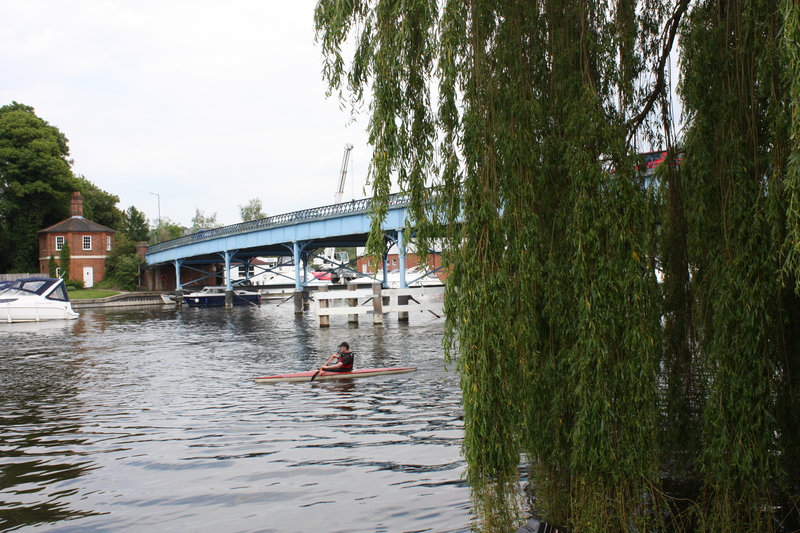 But also fond memories of warm summer days spent by the river I was now walking from end to end. If you look at the map you will see a little blip on the route towards the end. For once this was not due to a navigational error but a deliberate detour to the Spade Oak pub where I had a very welcome fish finger sandwich. Again, looking at the map it suggests that I stopped a bit short of Marlow, but that’s just where my phone battery expired. In fact I carried on under the A404, across the playing fields and through the residential streets back to the station where my lonely sock was waiting.